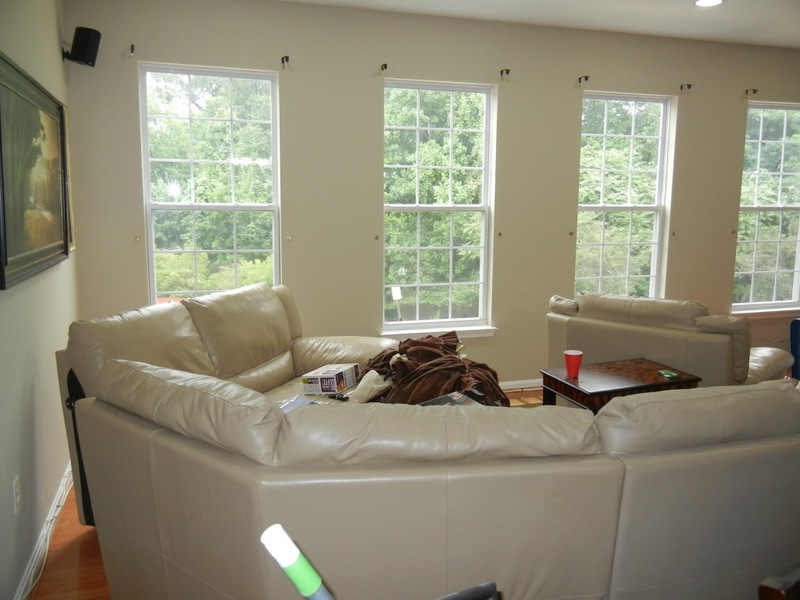 The sectional in this living room was too big for the space so it was removed from the home and stored off site. 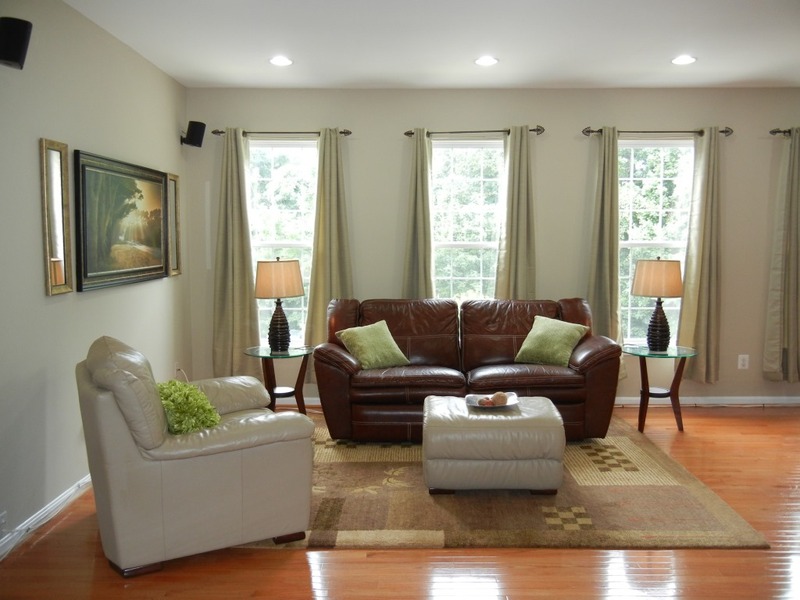 A couch from another room was brought up and the chair and ottoman were reused to create a conversation area. Two side tables, lamps, and some curtains were brought in while throw pillows add a pop of color to the space. This master bedroom did not feel like a master bedroom. 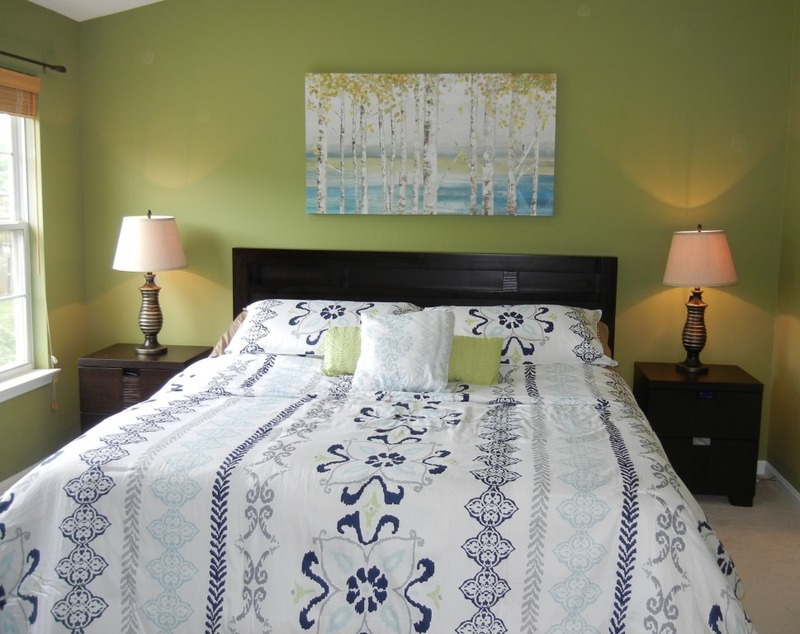 Rather than repainting the room, I used the sage green color to my advantage and found artwork and bedding that coordinated with the room color. I added 2 side lamps and the room now feels like a master retreat. 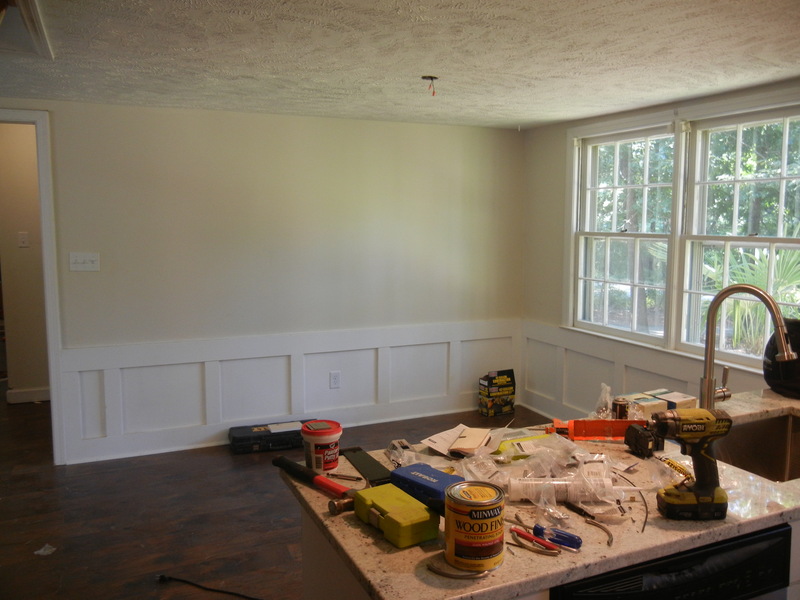 This area off the kitchen was used as a workout room but when it came down to selling the home, I convinced the homeowners to transform it back into an eat in kitchen area. 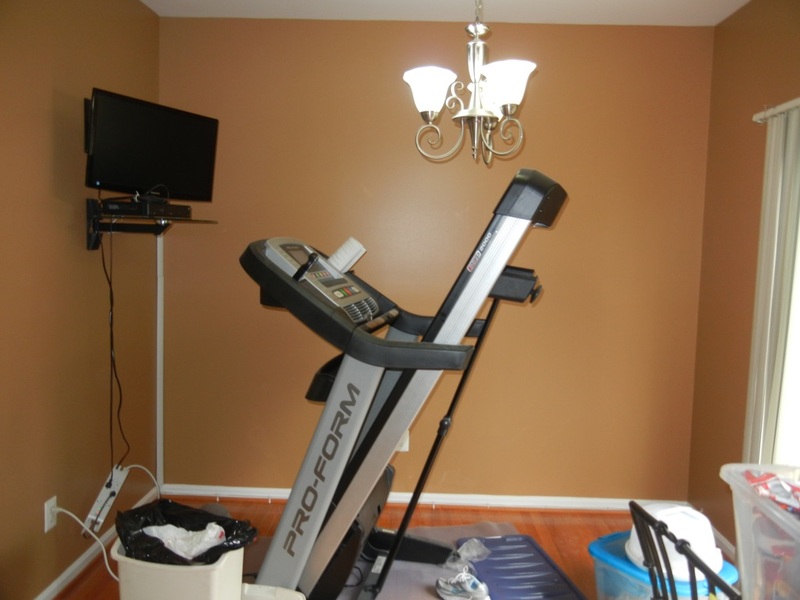 The exercise equipment was stored off site and the TV was removed. A small table and chairs, art and flowers were brought in to show how to use the space for potential buyers. 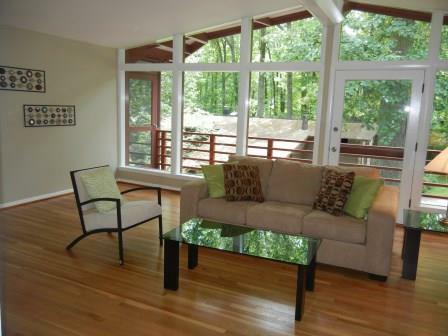 This contemporary home was empty and being updated to sell. 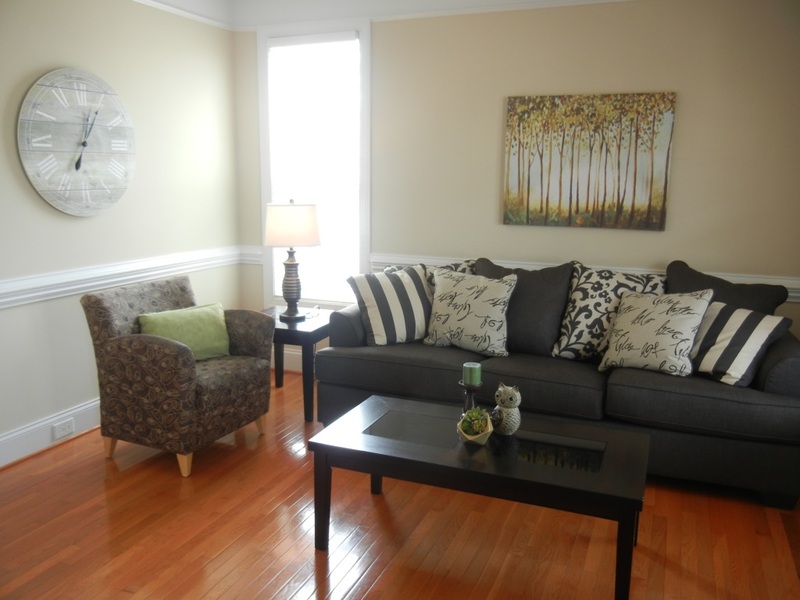 Rental furniture and wall art was brought in to showcase the beautiful sun filled room. 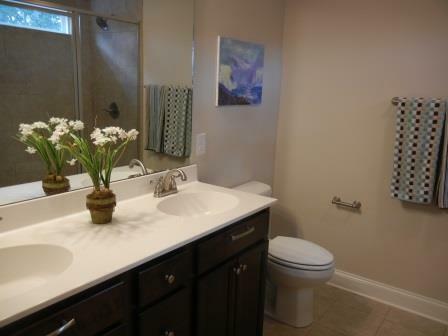 This home sold 3 days after it was listed and above asking price. 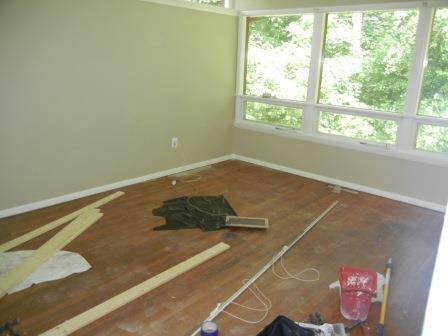 The homeowner was updating the master bedroom and had no furniture. 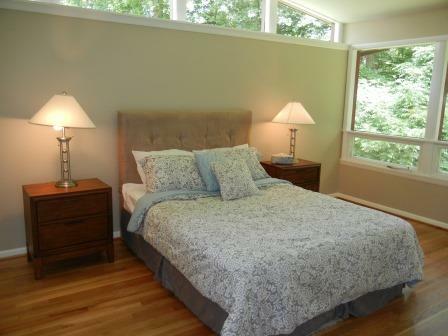 Rental furniture was brought in and bedding was bought for the homeowner to make it feel like a master bedroom. The library felt small with the current layout because the sofa hindered traffic flow. Blue Diamond Staging transformed the room by moving the bookcases next to each other. 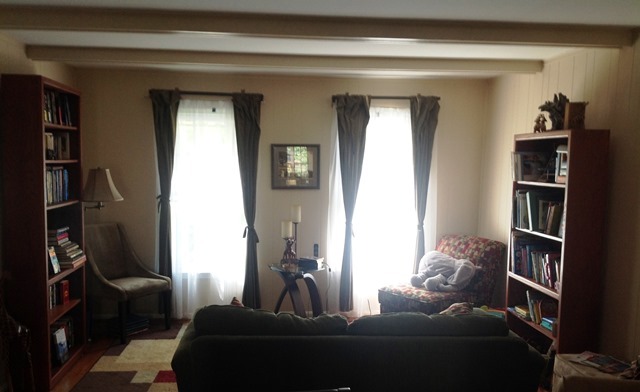 The sofa was removed and 2 armchairs were brought in from another room for comfortable reading areas. A reading lamp was placed between the chairs and art creates a focal point behind the chairs. 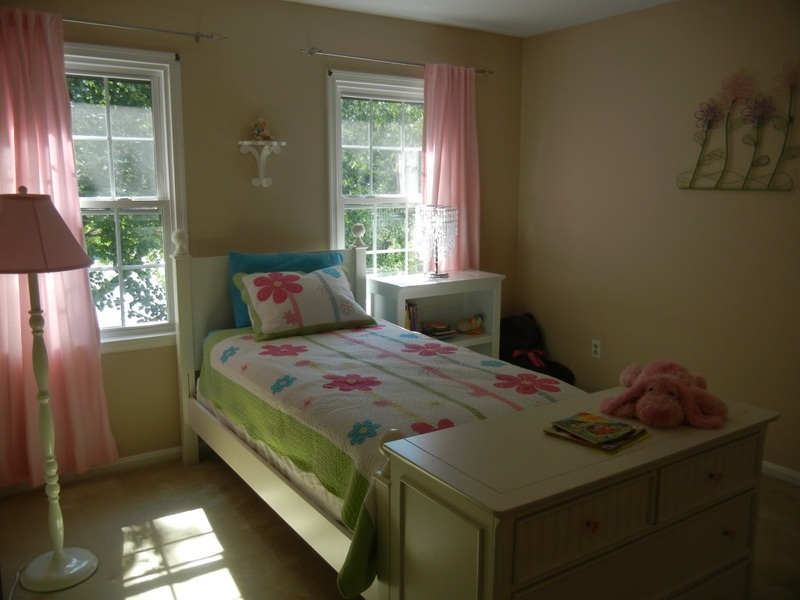 The second bedroom in this home only had a queen sized bed which took up a lot of space. 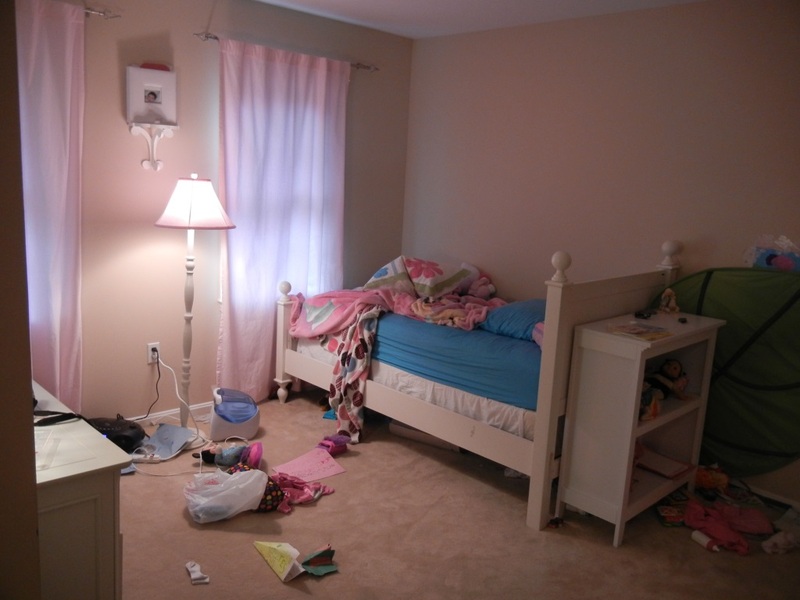 I recommended turning the room into a child’s room since families live in the area. 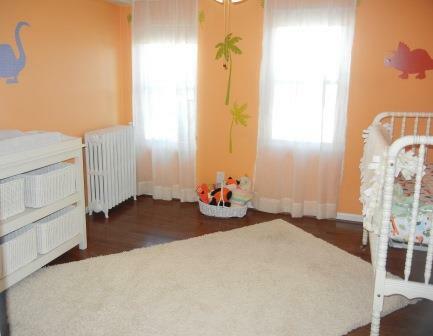 The homeowner borrowed a crib and changing table and found some art to make this room into a nursery. 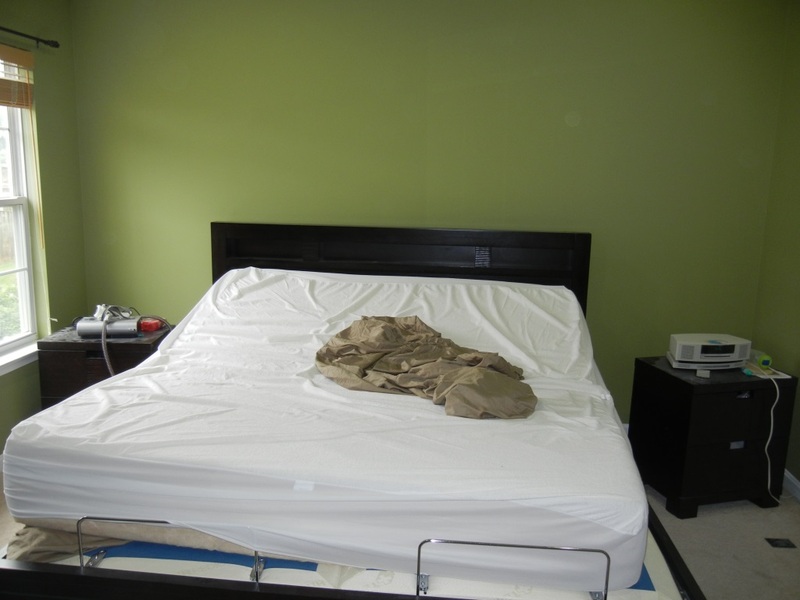 The queen bed was put back into the master bedroom that only had a dresser. 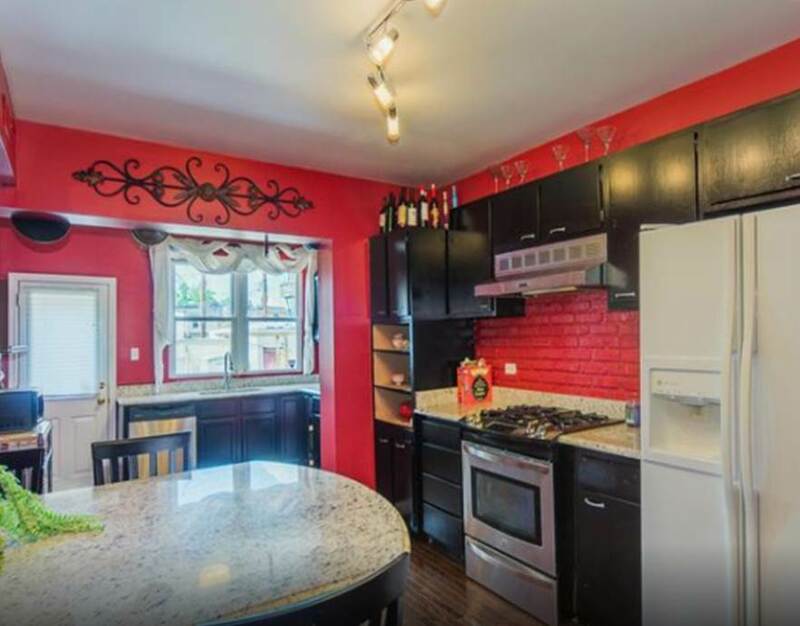 The wall color in this kitchen was too dark and red for the space. 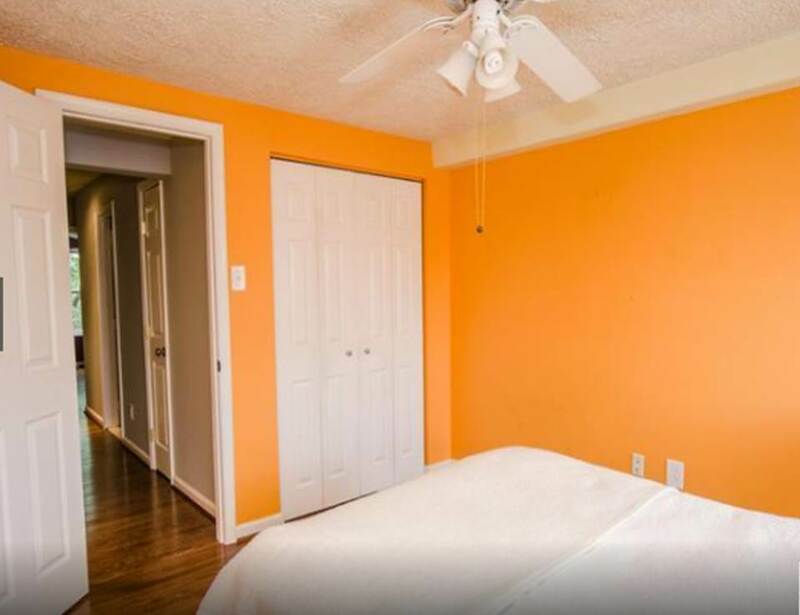 I recommended changing the wall color to a more neutral color. 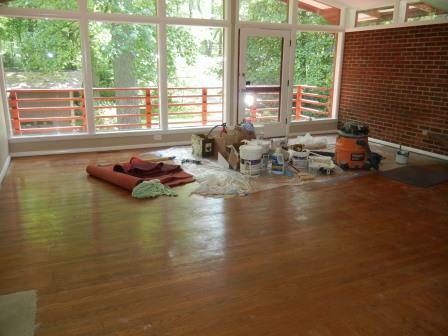 This new color helped open up the space and makes it feel bigger and brighter. This bedroom layout was not working like a bedroom should. To stage the room, the bed was centered in the room between the windows and the dresser was positioned at the foot of the bed. The bookcase did double duty as a nightstand and bookcase for bedtime stories. 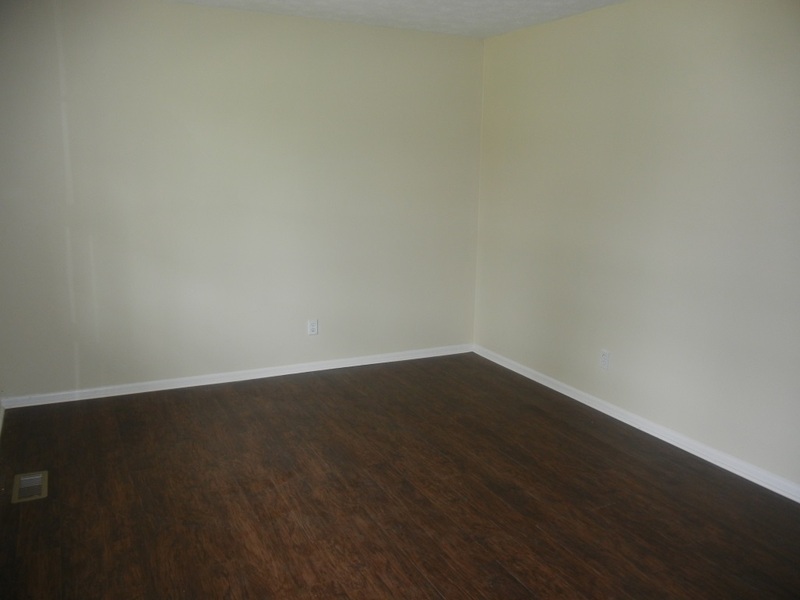 This vacant room doesn’t show how big it really is and how you can use the space. A living room set was rented and accessories such as artwork, lamps, rug and board games were added to make the room feel like a family room. This hall bathroom was under construction when I arrived. 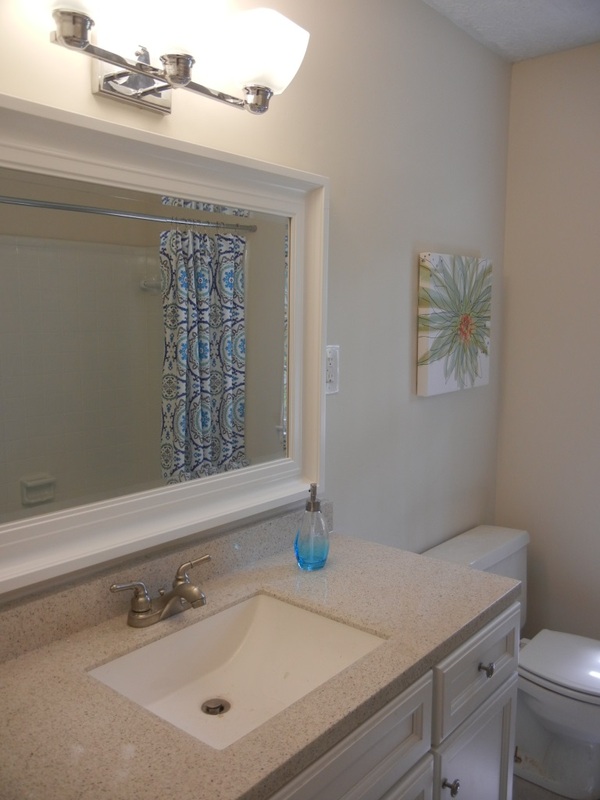 It was brightened up with white wall paint and I added a shower curtain, artwork and towels to complete the look. Now this is a proper bathroom! 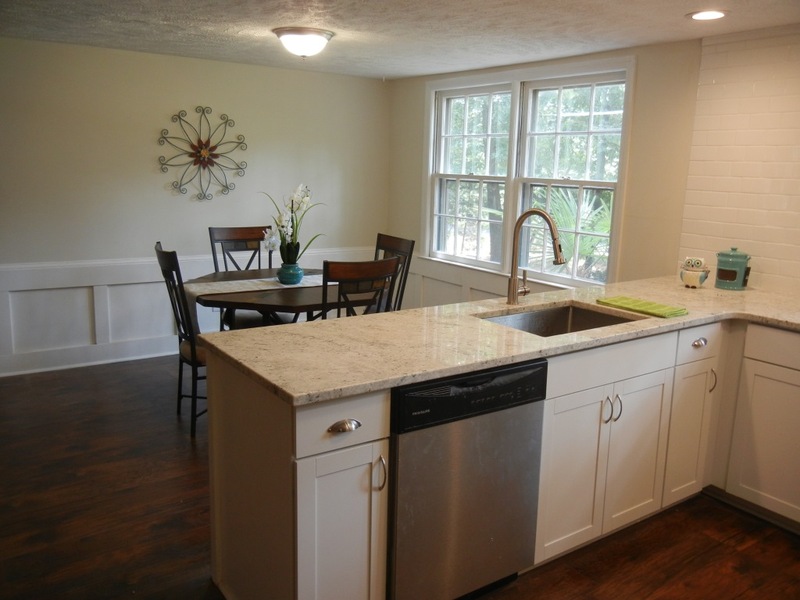 This eat in kitchen was vacant and needed to show buyers the huge space. 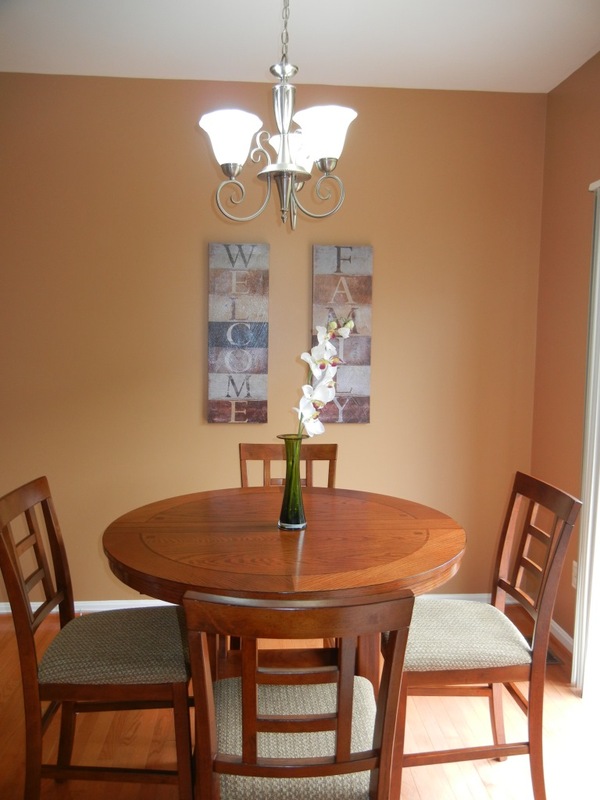 A dinette set was rented and accessories for the table and artwork was all that was needed to complete this space. 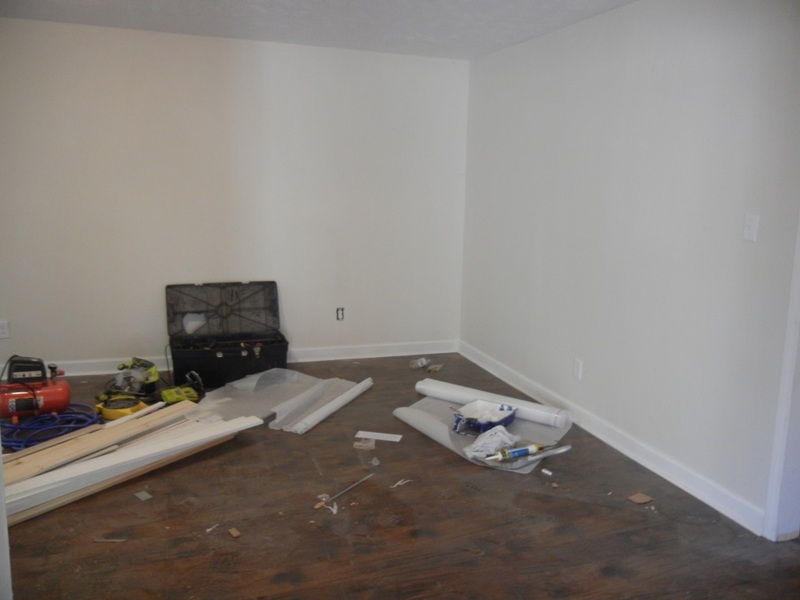 This vacant living room needed to show homeowners just how big this space could be! 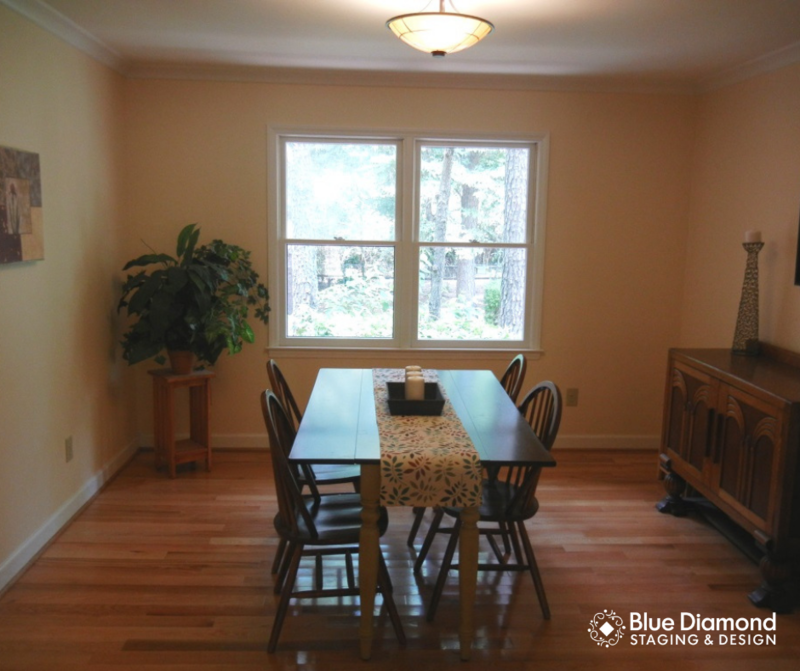 The owner listed this vacant home for 60 days before contacting Blue Diamond Staging to stage this vacant property. 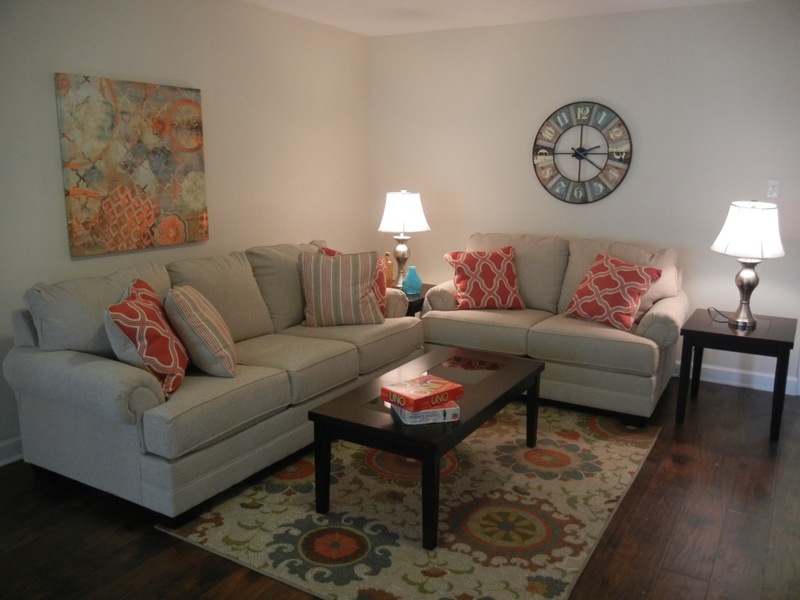 A week after staging, the homeowner received a full price offer! After photo provided by RoxieB Photography. 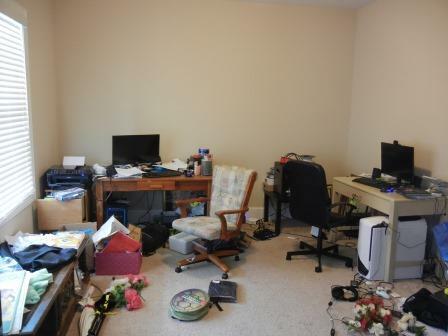 This occupied home office needed to be decluttered and arranged so buyers can see this large office space. We started by removing the second desk and clutter from the space and moved the bookcases from one wall (where you couldn’t see them) to the opposite wall. 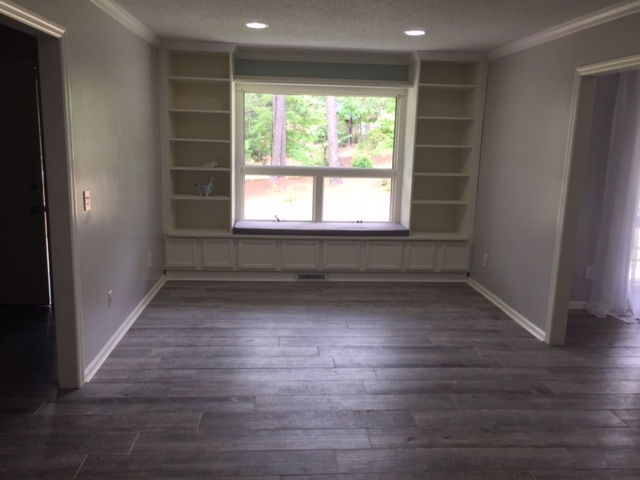 Since the bookcases were dark, we used lighter colored accessories the homeowner had in other areas to help fill in the gaps. A picture taken by the homeowner was blown up into a canvas piece of art and hung up behind the desk. After photo taken by Cyndi Fifield of Novae Design Group. 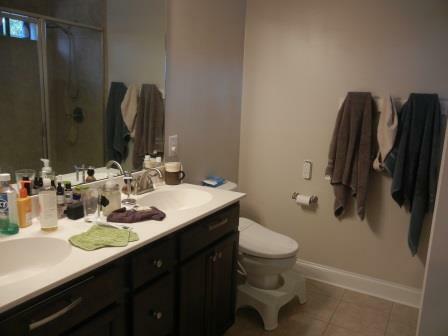 Everyday living is not something you need to show potential buyers. 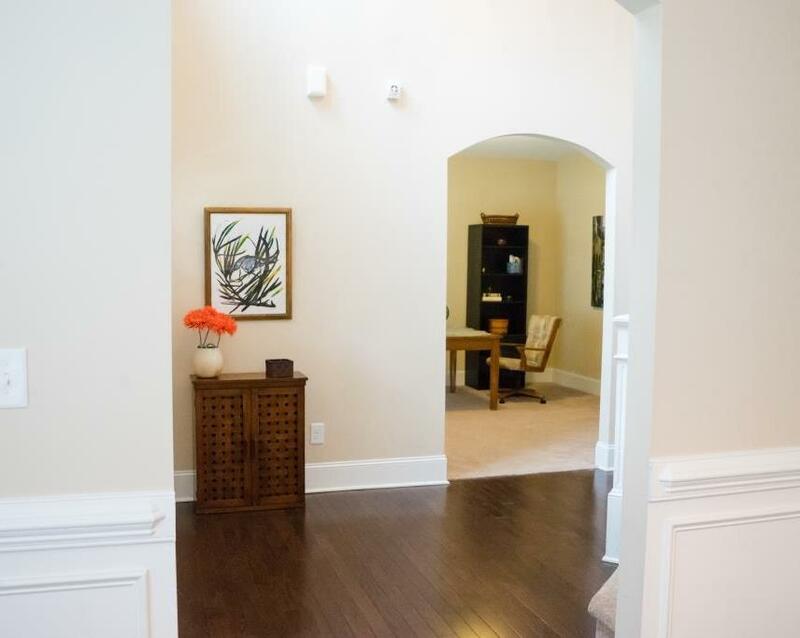 While it may work for the current family, you need to make sure your foyer is inviting to your guests. After a general tidying up of the space, an unused cabinet was found in another room and placed here in the foyer entrance. The homeowner had various paintings and we chose an abstract colorful one here to hang over the cabinet. A bright orange vase of flowers completed the look. 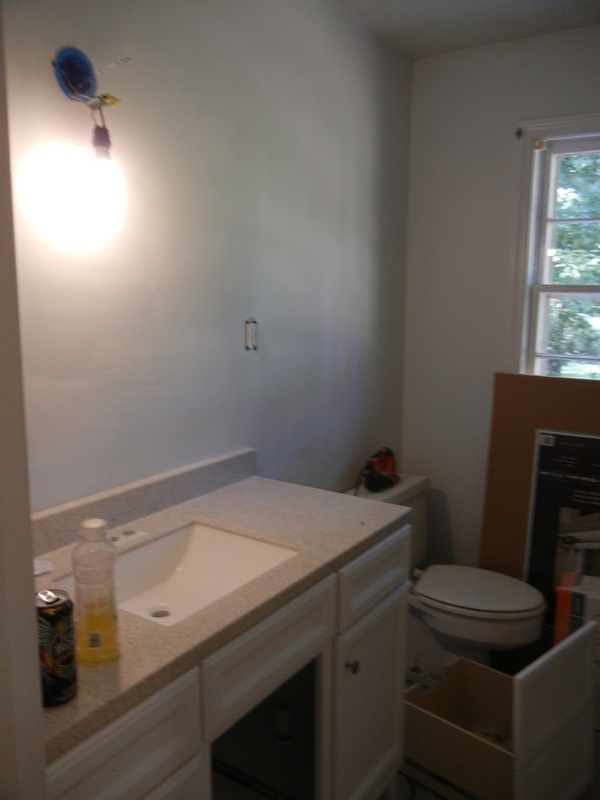 This master bath wasn’t ready for its picture perfect debut. Just cleaning off the counters did wonders as well as new towels, artwork and a simple potted plant on the counter. Bottles in the shower were not visible in the picture but these needed to be cleaned out as well. 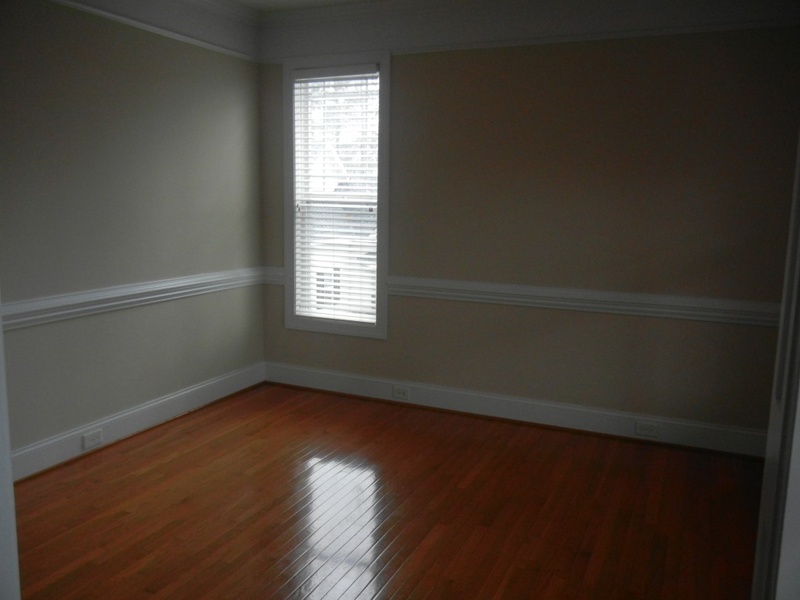 This empty gray room needed to show buyers how they can use this space. 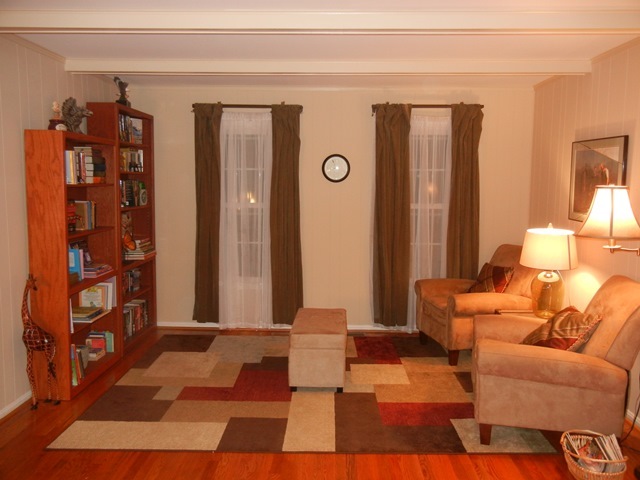 We turned it into a living room and brought in rental furniture close to the wonderful built in bookcases. This allowed great traffic flow and yet cozy enough to entertain guests or sit by the window and read. 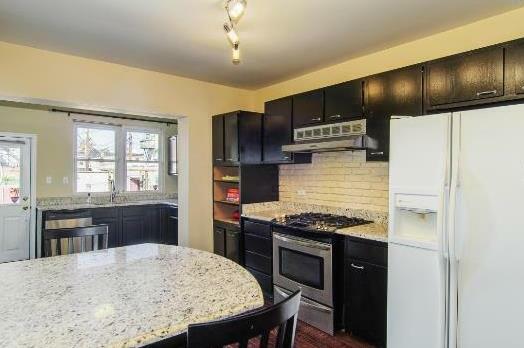 This empty eat in kitchen needed to show how big the space really was. 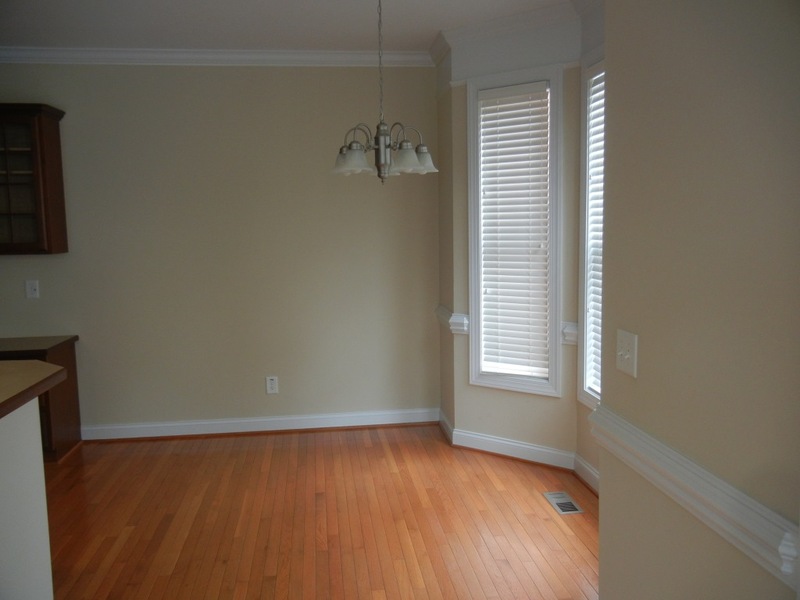 Rental furniture was brought in to show a normal round dining table would fit in here. 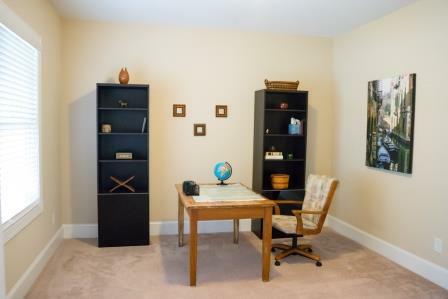 This small room off the front entrance could be used as an office or living space. 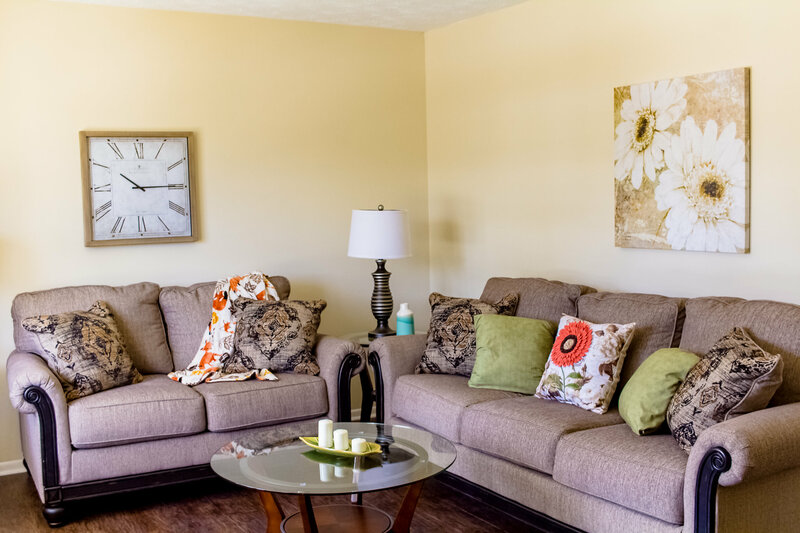 We added a couch and a chair to show that you can fit these items in this room and added artwork and a clock to bring some visual interest to the room. 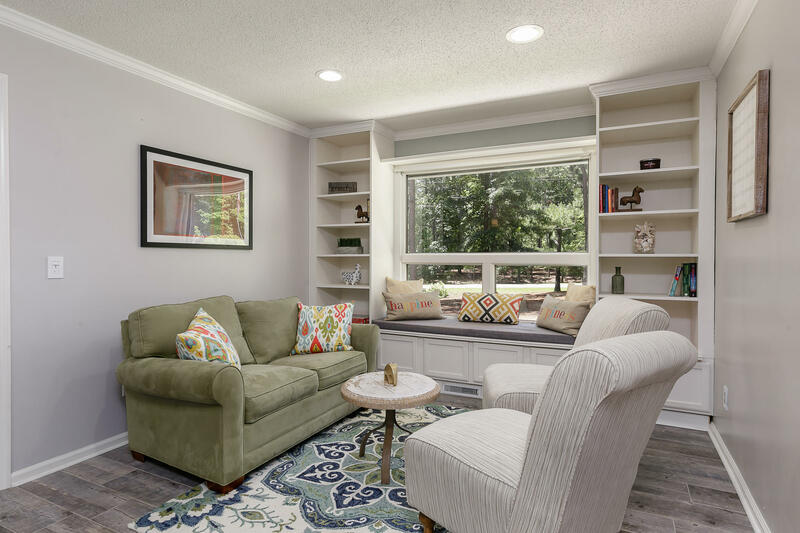 Now this room is ready for a cozy book read or meeting new neighbors. This dining room was spacious but had too much stuff. I helped the homeowner decide which pieces had to be removed and which ones to keep. 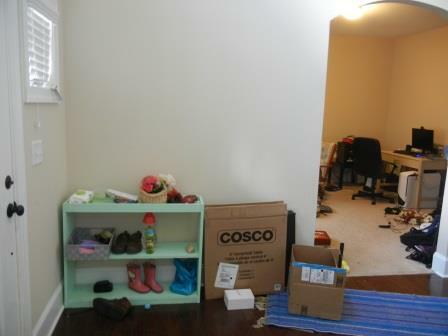 The bookcases were moved to the living room because they just do not belong in a dining room. 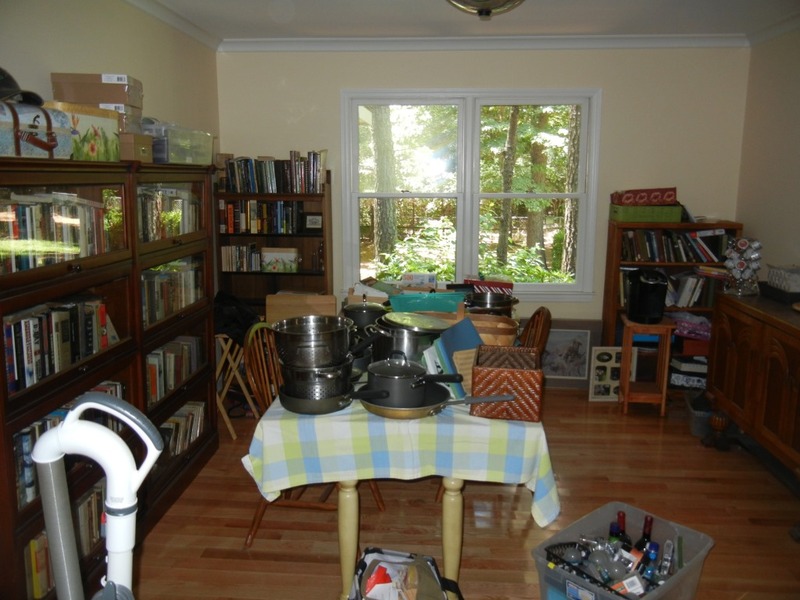 The other smaller bookcases were removed and everything was removed from the dining table. We rented artwork to keep with the red, yellow and green color scheme after the bookcases were removed and kept the credenza on the opposite wall. 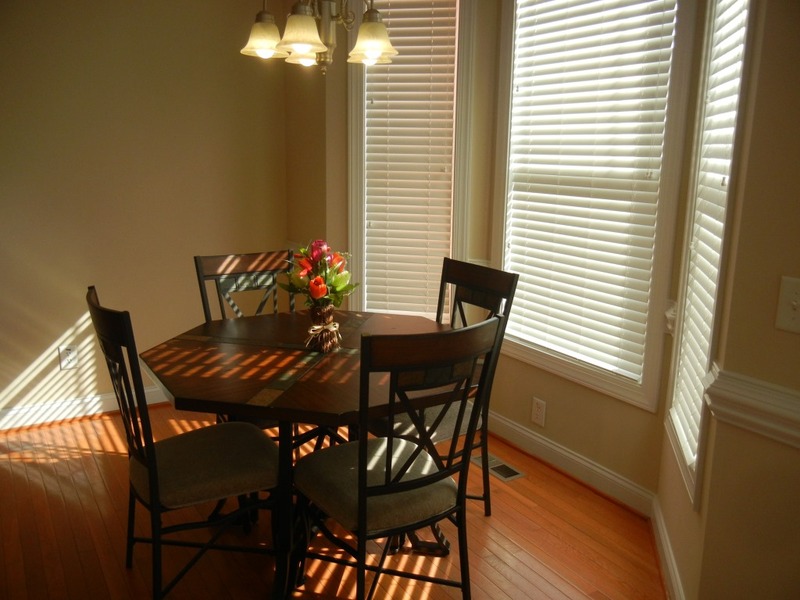 A simple runner and centerpiece was all that was needed to complete the look in the dining room.